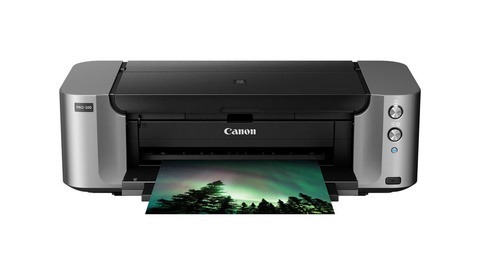 The Canon PIXMA Pro 100 can print up to 13x19” and this terrific deal includes 50 sheets of Canon’s Photo Paper Pro Luster for free. This adds another $50 in value to your purchase. 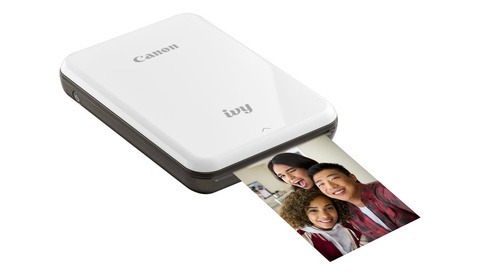 To receive the $250 discount you will need to send back the mail-in rebate to Canon. Make you read all the directions for the mail-in rebate before you throw away all that packaging you received with the printer. You will need some of the packaging as proof-of-purchase when you mail-in your rebate. When I purchased my printer I almost missed this detail and had to dig through the garbage to get my proof-of-purchase details. The offer is available only until April 30, 2019 so act quickly. I bought a printer several years ago. I never got my rebate check. I hope canon is reliable. I've gotten my rebate checks. But, don't think it'll be fast. Mail in rebates are for suckers. I did once participate in a Canon mail-in rebate. Took four letters to finally get the intermediary firm to pay out the $50 they owed me. Never again. Discount at the cash or shove your phony offer. I agree with you....mail in rebate it's a pain in the tooth. I don't see why they don't just give you the lower price up front and be done with it. Because they're counting on people to buy it and not ever go through the trouble of getting the rebate. It's a sales tactic to get people to pay upfront, increasing revenue numbers for a period of time since the rebate isn't paid out until later. It changes the position of "Giving a deal" from the manufacture/store, to "Go get a deal" by the consumer because the ball is in their court if they want to go through the hassle. It's a very successful marketing/sales strategy. Yup. Just read the rebate form. Rebate? Nah. Rebate is in gift card format? Super noooooo thanks. I got this free years ago with my Canon 70D pleased with both of them and I believe I got a refund from Adorama and then refund from canon - they told me it would take up to 8 weeks and I got it in two weeks. It's a hassle to do with the serial number, copy of purchase invoice etc - but the printer is really good. Particularly the Print Studio Pro program with it. This is a heck of a good deal IMO. I bought one through this deal several years ago and at that time the rebate came as an American Express card. When that printer died after a lot of use I took advantage of another deal and the second rebate came on a MasterCard. I even bought a third printer that I have stashed away in the garage in case the second one I bought ever craps out. That means I got another pack of paper and a full ink set that I've been able to use while the "spare" just takes up some room in the garage. Getting the rebate is no big deal if you just follow the instructions, and cut out the required information on the box to mail in with it. I don't remember how long it took to get the rebate but it wasn't terribly long. 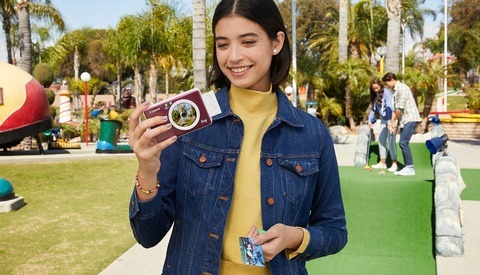 If I remember correctly, the Pixma Pro 100 uses dye based inks and the Pixma Pro 10 uses pigmented inks. Pigmented inks last much longer than dye based inks. I purchased last year on a similar deal and DID get my rebate. You DO have to read the instructions carefully and ensure you send back exactly what they request (including a piece of the box). If you read & follow the directions there should be little confusion on how to apply and what you get back in return (ie a pre-paid debit card). The printer works great, I'm still experimenting with different papers to match print to paper. Did this several years ago and as I recall it was even a better deal back then. Got the rebate - follow instructions closely. Its a wonderful printer, but it is huge and heavy. I did the deal last year from a camera store. It was basically a gave away. The only thing I paid in the end was the shipping charge. But the truth is I have the printer for a year sitting on a table and everything else is still in the box unopened. I just have no need for it. 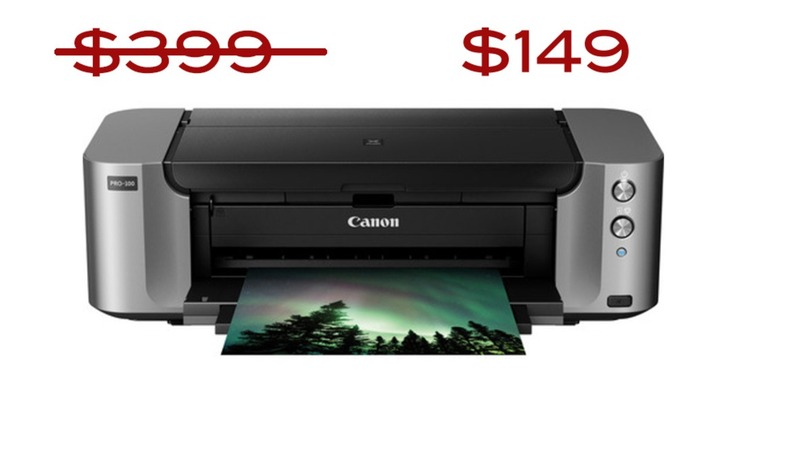 Yes, its a great deal if people bought prints. But that's just a dieing element in photography now and days. in canada, you can get a similar discount without the mail in rebate hassle.